The 2017 World Series of Poker Europe at King’s Casino in Rozvadov, Czech Republic has 11 bracelet events over three weeks of acton. The 2017 World Series of Poker Europe schedule gets underway Thursday afternoon at King’s Casino in Rozvadov, Czech Republic. While there are 11 bracelet events on the schedule, there’s a handful of events that, for one reason or another, you’ll just have to watch over the next three weeks as the action plays down. Eight of the 11 bracelet events on the schedule are No Limit Hold’em and buy-ins range from €550 all the way up to the €111,111 High Roller for One Drop. Good news for poker fans wanting to check out the action is that all 2017 WSOP Europe final tables will be live-streamed for free on WSOP.com. This one features a 20,000 starting stack, three starting flights and players can enter each flight once. It’s the tone-setter for the rest of the series. If this one draws well, it bodes well for the other 10 events. But if this event doesn’t at least make the €500,000 guarantee, lower-than-expected field sizes could be the narrative for three straight weeks. It’s not the first time that the Monster Stack has been on the WSOPE schedule. In 2015, Ryan Hefter topped the 580-player field to win $200,115 and his only WSOP bracelet. This one is ambitious. A €2,000,000 guarantee means they’ll need 4,000 players to not have an overlay. The 10 starting flights spread over five days, with players able to re-enter once per flight, should help get to that number. If It does, it will be the biggest WSOPE field in history, beating out the €550 Oktoberfest which drew 2,144 entries. Another Las Vegas favorite making its WSOP Europe debut, the Little One for One Drop has two starting flights with the €111 entry-fee going directly to Guy Laliberte’s One Drop charity. While the High Roller for One Drop (see below) is geared toward bringing together high roller regulars and a collection of businessmen and women in the name of charity, the Little One for One Drop gives every single player at WSOP Europe the chance to do the same. This is definitely one that a lot of people will be watching with excitement. Some of the biggest names in poker have already paid their deposit. 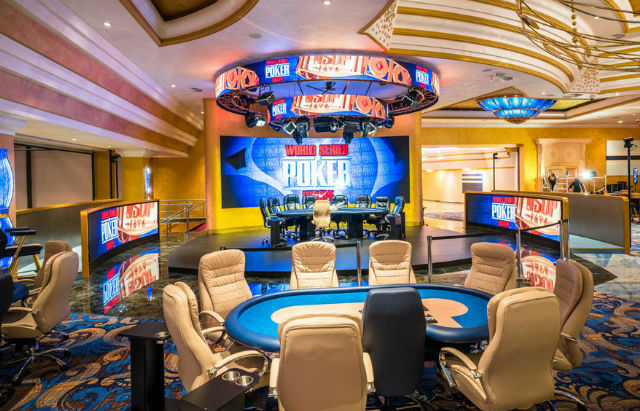 Fedor Holz, Patrick Antonius, Dan Cates, Dan Colman, Phil Hellmuth and Bryn Kenney have all paid a deposit to secure a seat in this event. Matt Kirk, who issuing King’s Casino owner Leon Tsoukernik over the latter’s refusal to pay back a $2,000,000 loan, has also paid the deposit for this event, adding another level of drama to one of the most high profile high roller events of the year. The list of players provided by King’s Casino should be taken with a grain of salt though as Phil Ivey was one of the players listed and he’s not expected to be at WSOP Europe at all. If you look back at the history of the WSOP Europe Main Event it’s hard not to notice that some of the biggest names in the game have taken it down. Phil Hellmuth, Annette Obrestad, John Juanda, and Adrian Mateos have all managed to cap off their WSOP Europe experience with a Main Event title. This one also comes with an ambitious guarantee, with King’s Casino promising a minimum €5,000,000 prize pool. Converting to $5,897,000, this will be the biggest WSOPE Main Event prizepool since 2011 when Elio Fox beat Chris Moorman heads-up to win his first WSOP bracelet.